Off lately, Delhi winters are in the news for all the bad reasons. One of them is, of course, the smog which makes it not only difficult to breathe but also passively harming each and everyone. The winters are no longer as cosy and interesting as they used to be a few years ago. Winters are warm now! When I say warm, we are good in one sweater. But for the rest of the world, even that "warm" is "too cold". However, I am here to talk about the good things! There are some things which won't change with the change in temperature! Dry fruits, super fried food and too much of sweets, specially halwa, are a must in every meal! I missed mutton Nihari! Travelling in and around Delhi is fun! Everything looks beautiful under the winter sun. These are the places where you might not go when it's scorching hot in Delhi - like the Dilli Haat and the forts in Delhi. Trust me, all the super amazing winter clothes that you see can be flaunted during the winters in Delhi - because it's just perfect - not too warm not too cold! Barbeque and bonfire nights on the terrace with friends are something I miss - but they were the best part of growing up in Delhi. 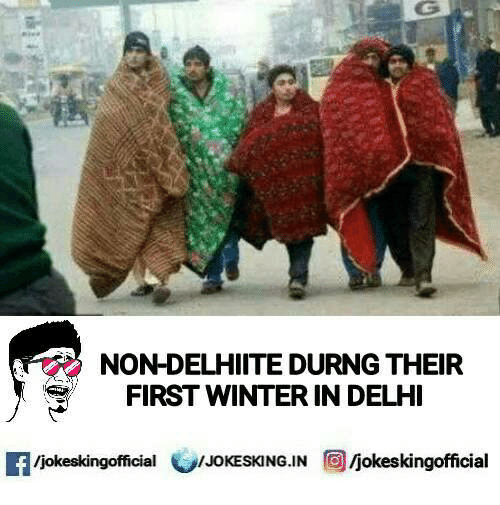 But on a sad note, Delhi winters claims a lot of lives every year. I wish if that I could really do something about that! The coldest weather I've faced in my life was again your Delhi in that trip two years ago. The only time I could see my breath in front of my face. And doc, that was not even the coldest. I was wearing just one sweater! Delhi winter gets a bad rap. Too cold. Too foggy. Too many delayed flights. But if you are a Dilliwala, Delhi winter has its own charm. The romantics are unleashed. Tracing silhouettes in the dark/fog and snogging becomes commonplace. Forget about coffee beans and ditch the hotels, cafés, restaurants, for hot roadside adrak waali chai. A drive around the campus area or even the local neighbourhood shops and you throw caution to the wind as you rest your well-cushioned winter derriere in the not-so-fancy dhaba for a cup of desi pyaala, while hanging up your 'we-love-to-show-off' Delhi boots. Winter mornings and electric blankets may beg you to lie in bed a little longer, but every true blue Dilliwala/wali hopes to forget the scorching summers and savour life in a metro, Dilli style. 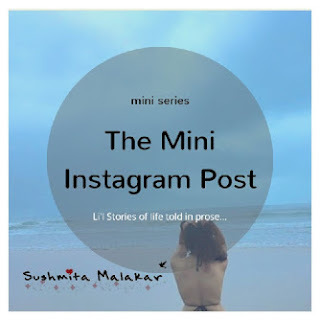 You explained the Delhi winters even better than I could in the blog!! Proud Indian. Keen Learner. Impulsive. At times compulsive. Sorted. High on Life. Absolutely in Love. Bourbon lover. 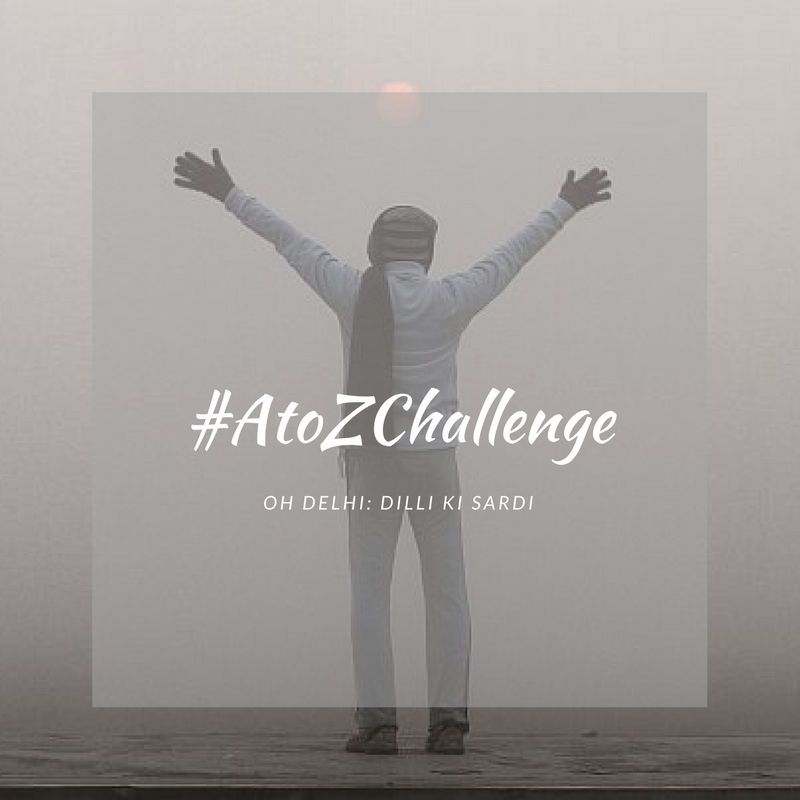 #AtoZChallenge: Oh Delhi! F: Food! 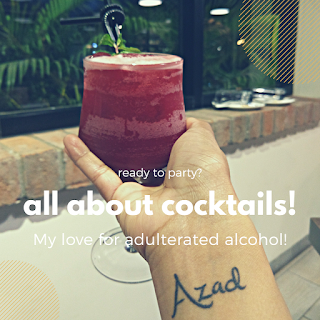 Sharing My Love for Cocktails! All content of this blog, unless mentioned explicitly, is an intellectual property of www.sushmitamalakar.com. Thanks for visitng, see you again!